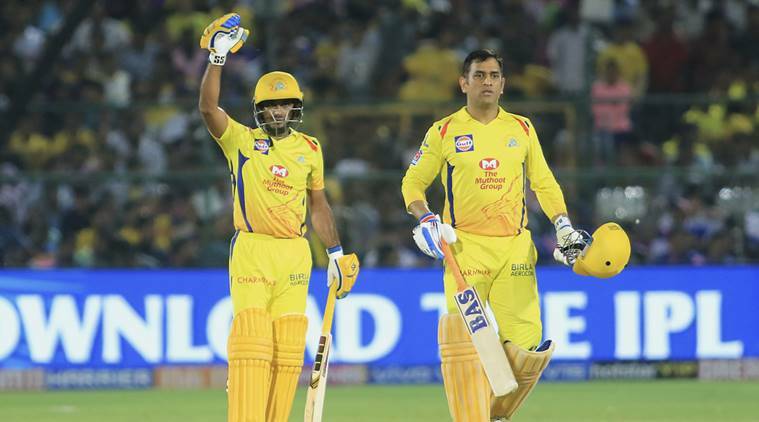 MS Dhoni sprang up from his place in the dugout during RR vs CSK and ran onto the field of play after a no-ball was rescinded in a nail-biting last over finish. A no-ball call that was revoked by square-leg umpire Bruce Oxenford drew an angry reaction from Chennai Super Kings captain MS Dhoni, who ran into the playing area to seek clarification from the two standing umpires during the tense finish to the game against Rajasthan Royals at the Sawai Mansingh Stadium in Jaipur on Thursday (April 12). His atypical gesture saw him being fined 50% of his match fees while being condemned by multiple sections. The CSK captain was an animated participant in the incident that occurred following the fourth ball of the final over, where the visitors needed 18 runs, bowled by Ben Stokes. The equation at this point read CSK needing 8 runs from 3 balls. As the Rajasthan Royals bowler went for a slower ball, it turned into a full toss and was promptly called a no-ball by Ulhas Gandhe – stationed at the bowler’s end. Mitchell Santner, the batsman at the time, and Ravindra Jadeja ran two and the equation should have now read 5 needed from 3 balls with a free-hit to follow. But, Oxenford, the umpire at square leg, overruled the original decision, drawing a furious response from the CSK dugout. It must be mentioned here that the final call in over the waist height no-balls rests with the square-leg umpire. With confusion reigning supreme as Jadeja gestured angrily at the umpires for the change in decision, skipper Dhoni walked into the playing area to talk to the umpires and was pictured gesticulating about the original call. The umpires, without referring to the third-umpire, concurred that the full-toss would not have been waist-high and left CSK needing six off two. However, Santner hit a last-ball six to seal the game in his side’s favour. 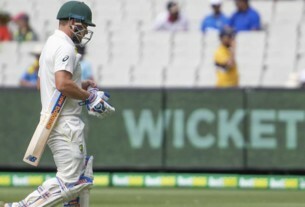 Fleming agreed that Dhoni will receive flak from those in cricket for his actions but defended him after the on-field call was handled poorly. “He only just wanted clarity. The rights and wrongs will be discussed by everybody, including Mahi, I’m sure. But, I think, it’ll be a discussion for the umpires afterwards and I am a watcher as you guys are, for now. But he was certainly fired up about the way the decision was handled and why it was overturned or if it was overturned. So, there was a lack of clarity, obviously, for him and he wanted to get it clarified at that key moment. It’s unusual but he’s usually pretty calculated. It’ll be something he will be questioned about for sure, for a long time,” he concluded. Jos Buttler, part of Rajasthan Royals and someone who has been part of umpiring controversies this season when he was given out by R Ashwin’s Mankading, said Dhoni was “probably not right” in what he did. “I’m not sure if that’s the right thing to do or not. Obviously the tensions are running high in the IPL and every run counts. Yeah, it was a big moment in the game but whether stepping on to the pitch is quite right? Probably not,” the Englishman said. Royals suffered their fifth loss of the season, after reaching a commanding position against CSK, a situation they have regularly faced this season. “It (the loss) is a tough one to take, getting in a position to win the game but not being able to get over the line. The boys will be very disappointed but that has been the story of our season so far,” Buttler said. Putting CSK into chasing a modest 152, RR had the commanding position with CSK at 24/4 before Dhoni-Rayudu’s stand. “Our bowling innings started brilliantly we got them four wickets down very early but then we weren’t able to break down the next partnership of Rayudu and Dhoni which was crucial in the game,” Buttler said. For Rajasthan, the issue has been to get the batting and bowling to click in tandem – something that hasn’t happened this season. “We are just not putting those performances together, we are playing well in stages against quality opposition and some of the best players in the world if you can’t do it in the whole 40 overs, it’s tough to win the game,” Buttler said.